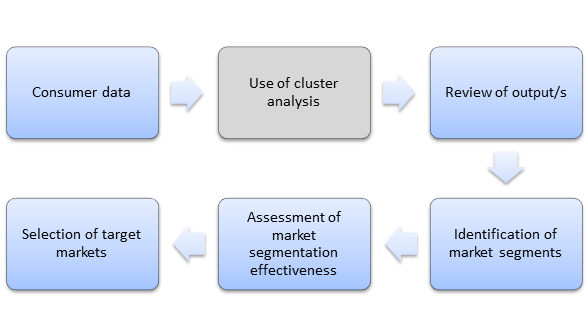 The end result of using cluster analysis is to create a suitable market segmentation structure that can used to support the selection of attractive target markets. 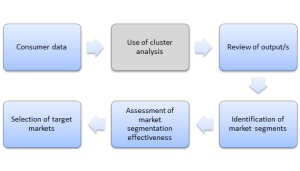 This general process is shown in the diagram, with cluster analysis simply being a potential tool in the market segmentation process. 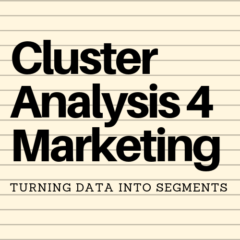 That is why some of the theoretical and practical aspects of creating market segments are included in a website primarily focused upon cluster analysis and data conversion.